Honey bees are useful insects and fairly hard photographic subjects in the wild as they flit about from flower to flower. 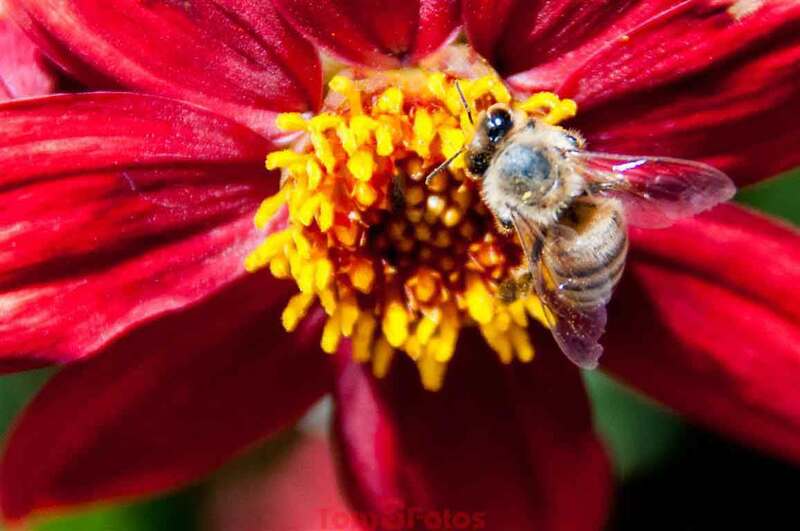 …note the pollen on the bee’s leg. Hanging Bee: Taken 6 April 2011 with a Nikon D90 with AF-S Nikkor 18-105 Zoom set to 105mm using ISO-400 and f6.3 at 1/640sec exposure. 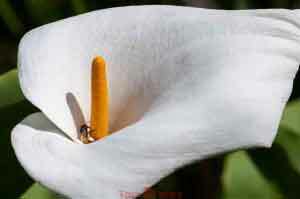 Cala Lilly Bee: Taken 22 March 2014 with a Nikon D90 with AF-S Micro Nikkor 105mm using ISO-320 and f8 at 1/4000sec exposure. 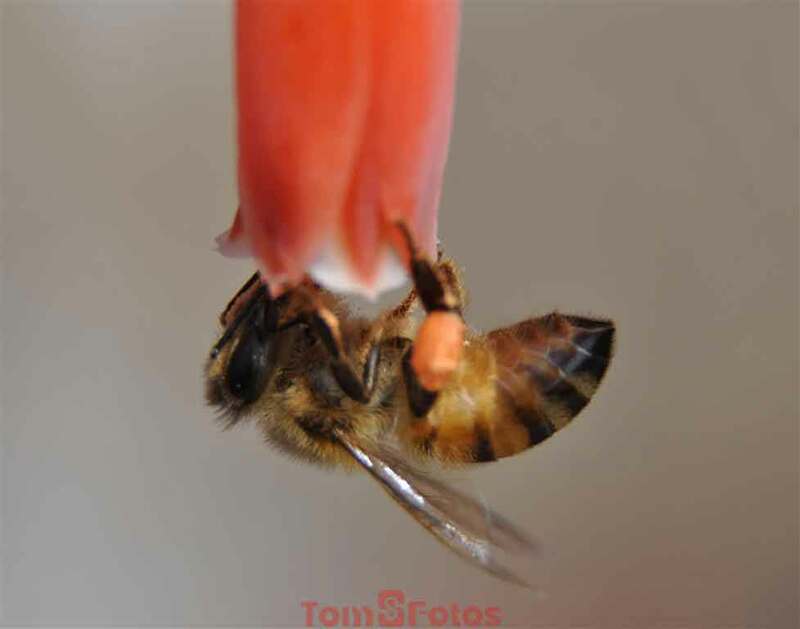 Red Flower Bee: Taken 17 June 2014 with a Nikon D90 with AF-S Nikkor 18-300 Zoom set to 300mm using ISO-1250 and f5.6 at 1/1000sec exposure. 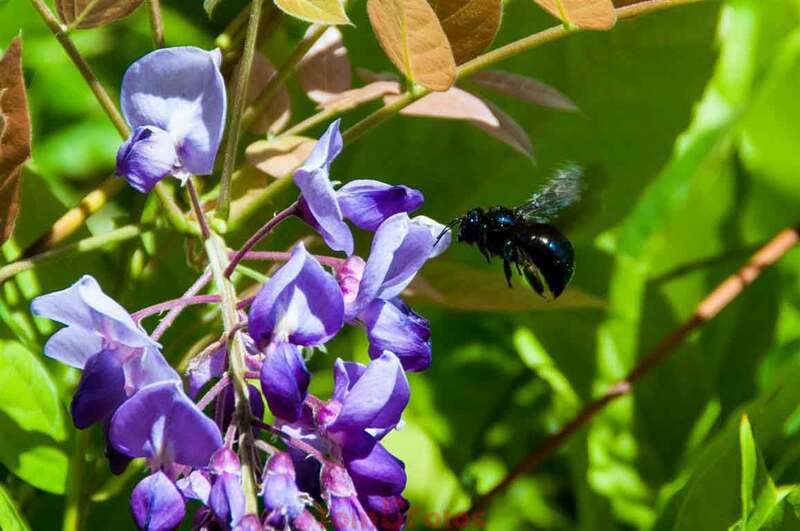 Black Bee on Wisteria: Taken 14 June 2014 with a Nikon D90 with AF-S Nikkor 28-300 Zoom set to 300mm using ISO-400 and f/5.6 at 1/400sec exposure. 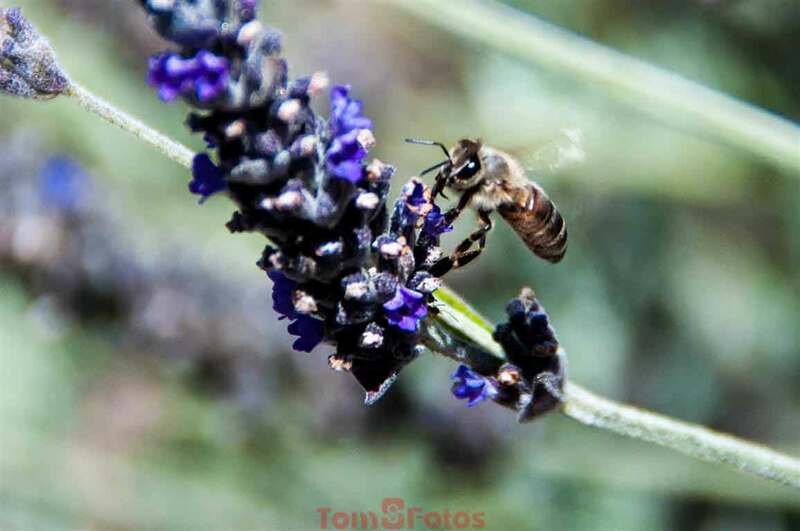 Evil Looking Bee: Taken 19 June 2014 with a Nikon D90 with AF-S Nikkor 18-300 Zoom set to 300mm using ISO-720 and f5.6 at 1/1000sec exposure.